Arlen House Launch at the Unitarian Church, Tuesday 23 Nov.
in association with Poetry Ireland. Geraldine Mills led off with her book (shared with Lisa Taylor) ‘The Other Side of Longing’, including a poem comparing our Leprechauns with other foreign varieties. According to Geraldine, ours are ‘meaner’ (?). 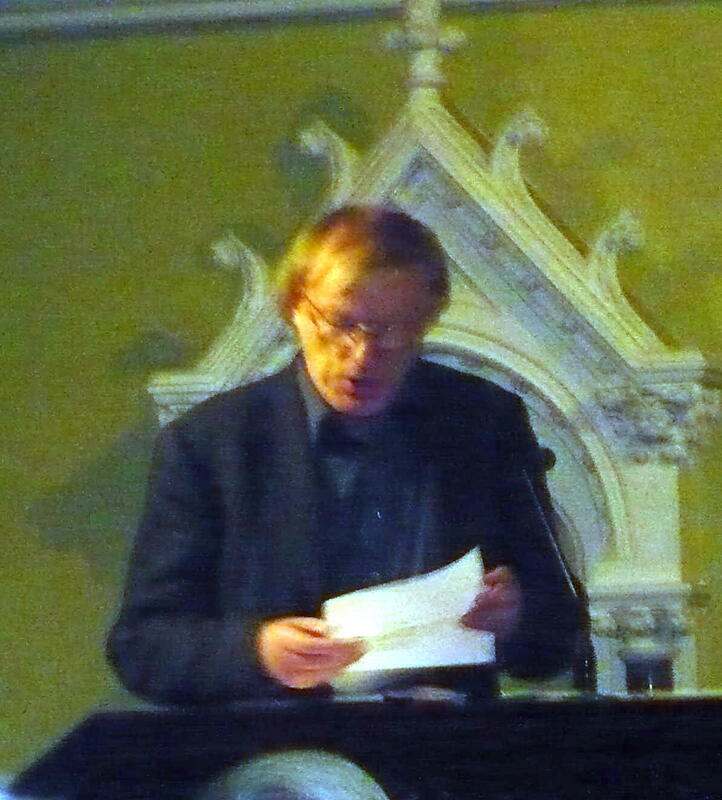 Then it was Tom Duddy who read from his ‘The Hiding Place’ three poems, ‘The Quiet Life’, ‘Left Bank’ and ‘Garden Party’. I liked ‘Left Bank’ with its evocations of ‘This old street which still dreams of being / central again one day, cannot change itself…’ and the people who still came there, themselves now changed, and yet unchanged. Other readings were from Maighread Medbh, Adrian Kenny (on behalf of Jim Chapson), Gerard Smith (who read from James Liddy’s posthumous collection, ‘Fest City’), Geraldine Mitchell (whose poem involving the new scientific discoveries relating to dark matter struck me as very original, and Kate Newman from her ‘I Am a Horse’ collection. Previous Post: Chapters & Verse Reading at Chapters Bookstore, Wed. 17th Nov.